Sometimes you get so comfortable with love that you take it for granted. 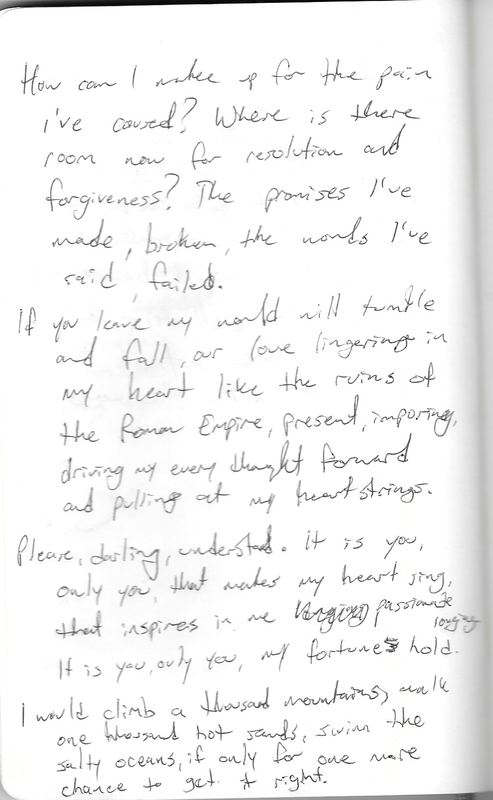 For Day 4 of Write Yourself Alive, I wrote this short poem to the person involved in my last heartbreak. These are all the things I couldn’t say and said too late because the pain I caused was too much for forgiveness at the time.